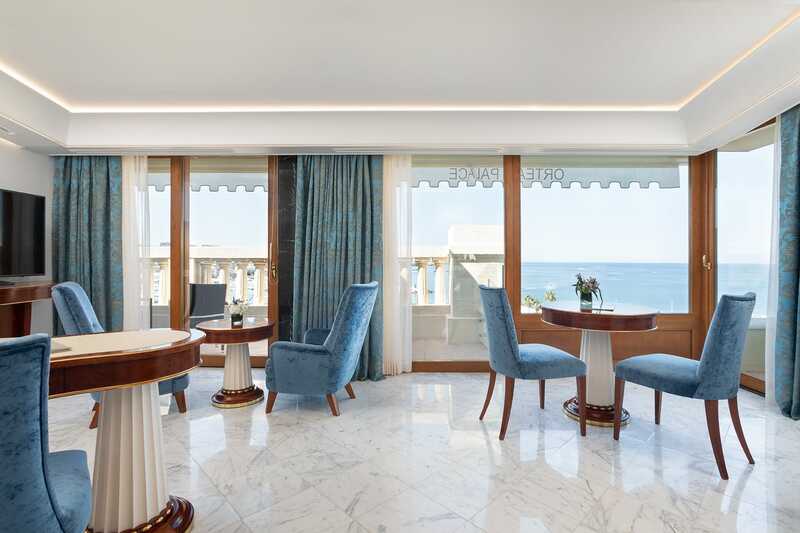 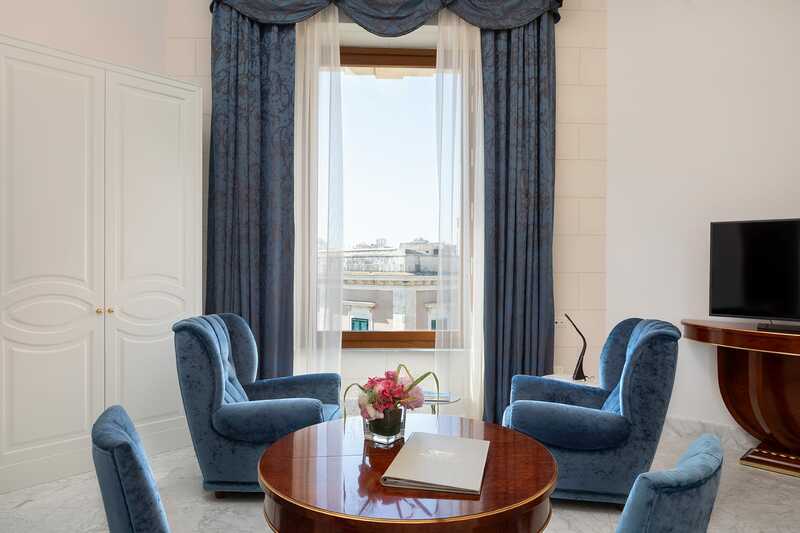 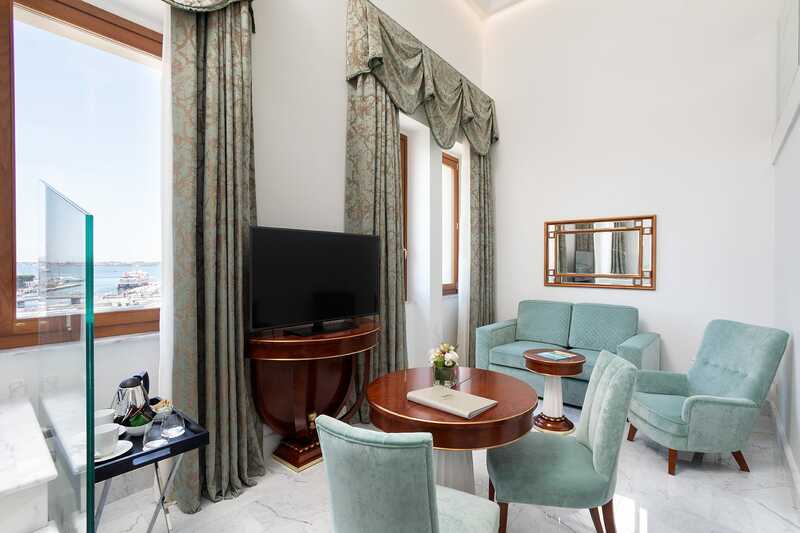 Bright, spacious and welcoming interiors, Italian design furniture and precious curtains that recall the shades of blue sea, green, pearl gray and cardinal red. 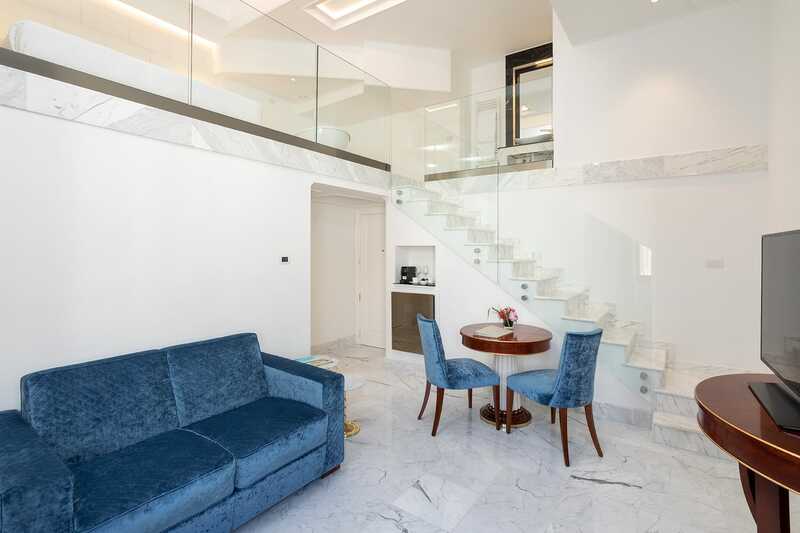 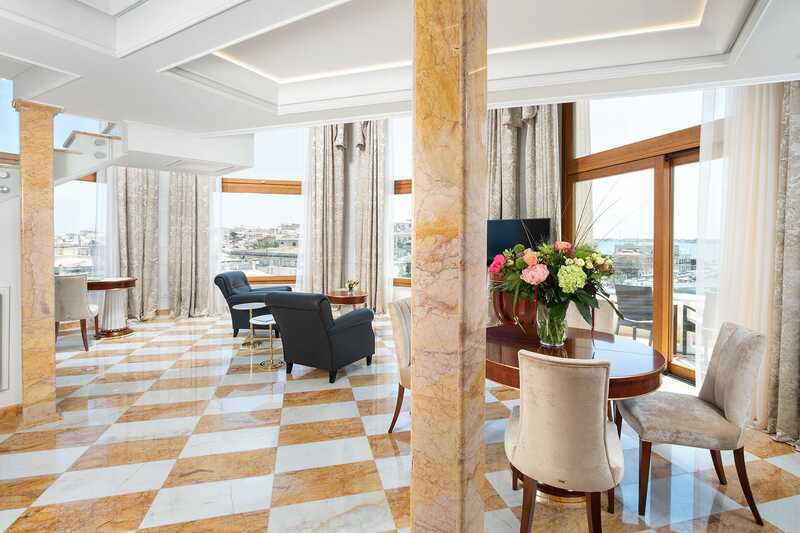 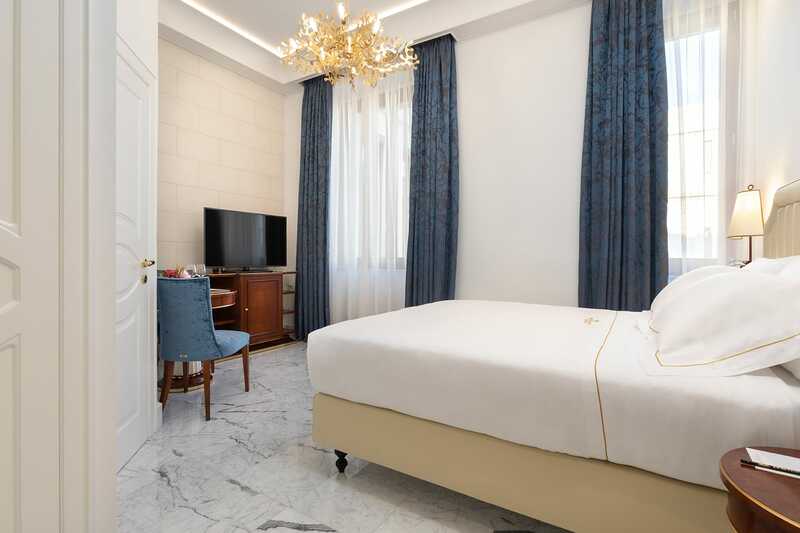 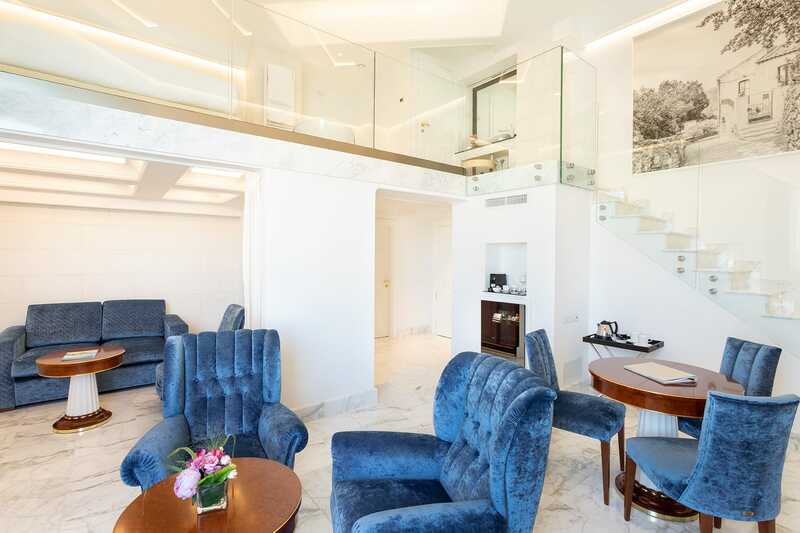 All rooms feature classic and precious marbles in a harmonious contrast with chandeliers and modern details, along with the most advanced technologies. 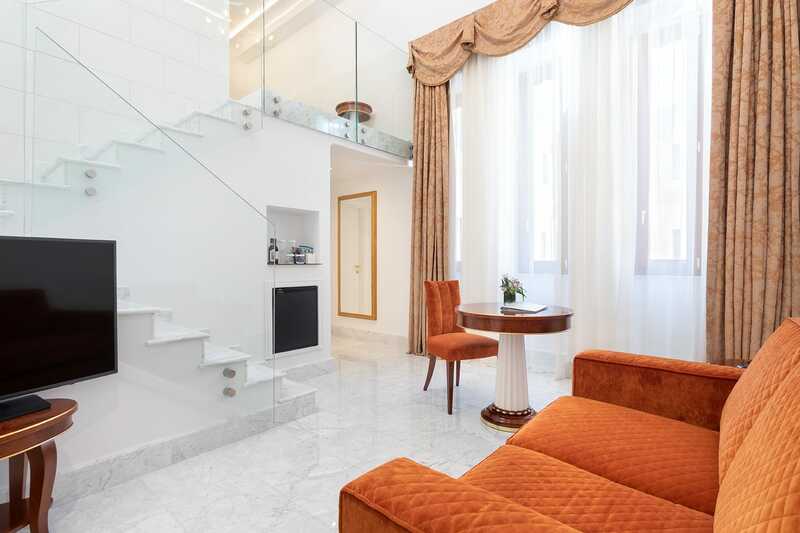 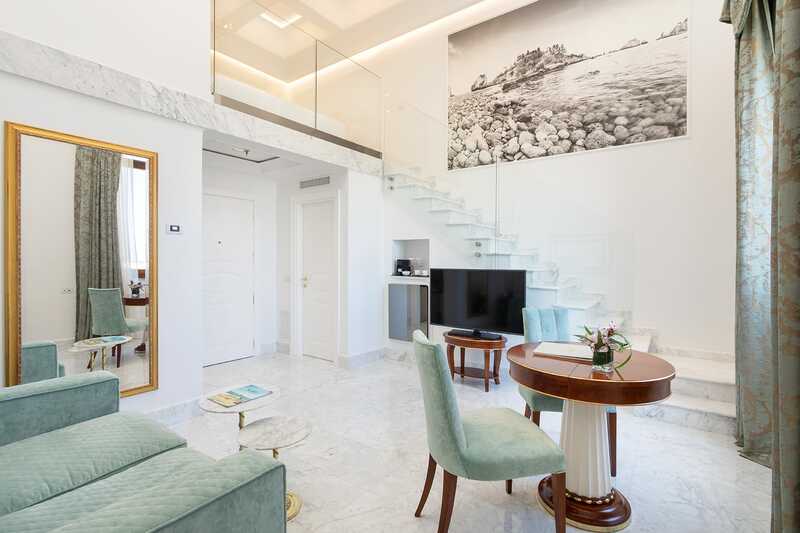 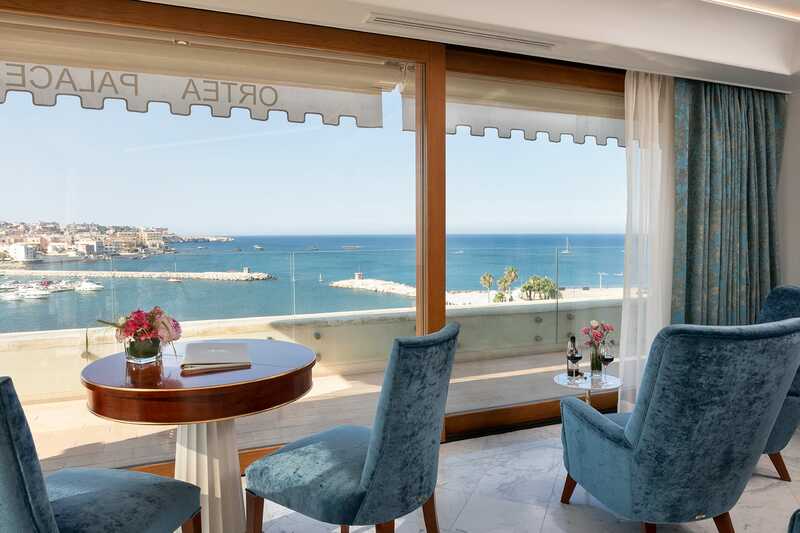 Equipped with private balconies, the Junior Suites and Suites offer beautiful sunsets over the sea of Ortigia and one of the most beautiful and evocative locations on the island.